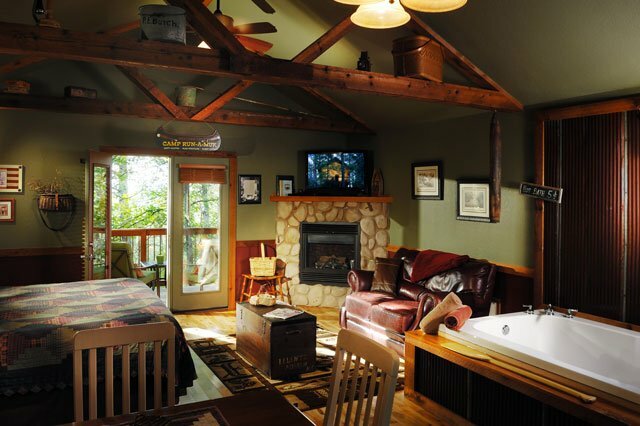 Our most sentimental Cabin creation is Rocky’s Retreat. Named and decorated after a very special man in our life.… Bill Ball. Bill loved Norman Rockwell and, in fact, owned an original which was Bill's pride and joy. Taking 'Rocky' from "Rockwell" and trying to create a clever cabin name .. who do you think of when you hear the name Rocky? Bullwinkle - squirrel and moose! Thus, Rocky's Retreat was created. 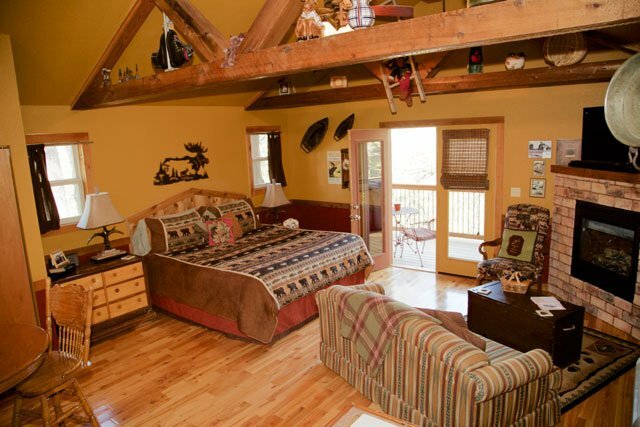 You will find Rocky’s Retreat delightfully designed with a whimsical attitude. 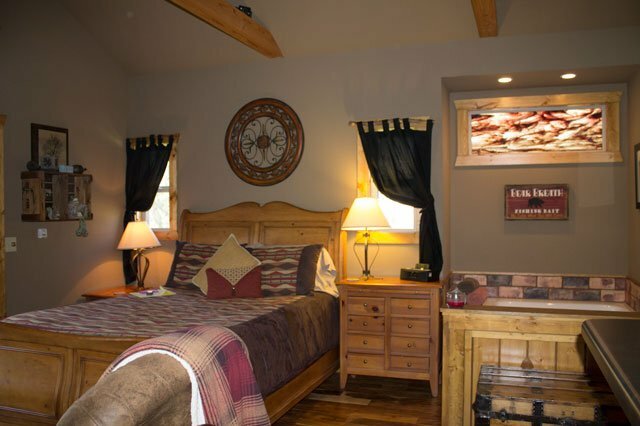 Luxury king size bed, full kitchen with stainless steel appliances even a washer and dryer are just some of the amenities offered in our designer cabin. Rock away the stress you left behind relaxing in the two person jacuzzi with a stained glass window in beautiful reds above it. The dual showerheads in the large glass-enclosed shower add the perfect touch for that relaxing romantic stay. 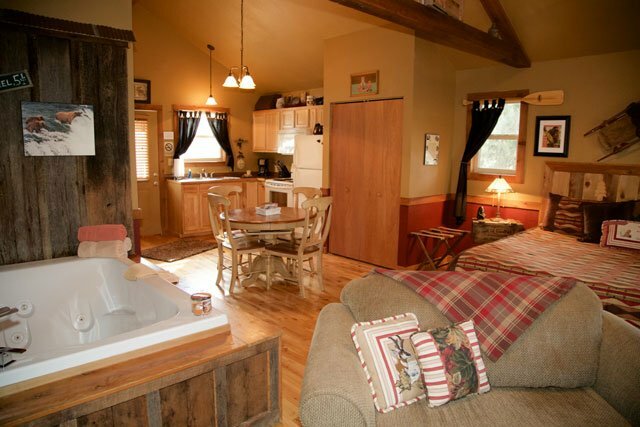 Other amenities to enjoy in this cabin are the 40” flatscreen TV/Blueray DVD player with cable. We also include a compact stereo system that is made for iPod and iPhones. 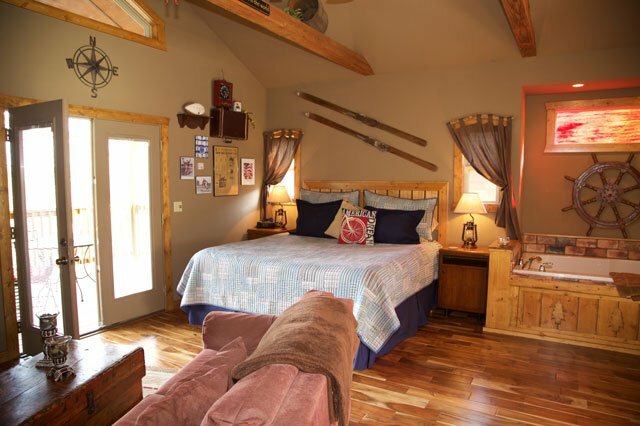 Enjoy the breeze of the paddle fan on the large covered back deck which is equipped with a gas grill. Now retired, we both continue to travel. Been to all fifty states and many countries. We are still excited about traveling today as we were on our honeymoon 41 years ago. 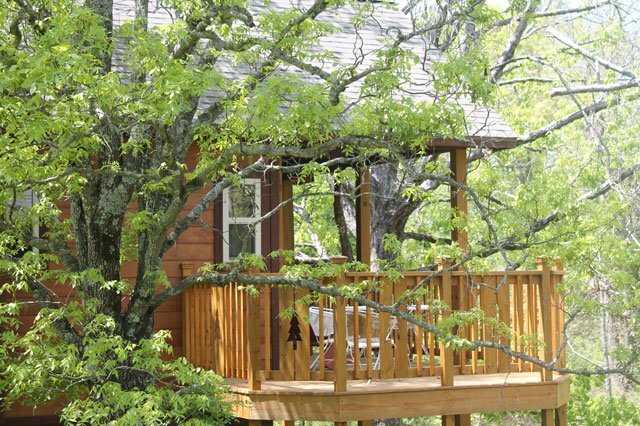 This little cabin is without a doubt ranked right up there among the best places we have stayed in over the years.